The BFA would like to congratulate Tim Money and Liv Philip who are the winners of the UK National Freediving Championship 2012! Each year, the BFA grants a National Championship Award for men and women, to the athlete who has scored highest in STA (static apnea), DYN (dynamic apnea with fins), and CWT (constant weight). Liv and Tim both train at London Freediving in Richmond and Crystal Palace Clubs, where they are extremely popular and respected athletes. 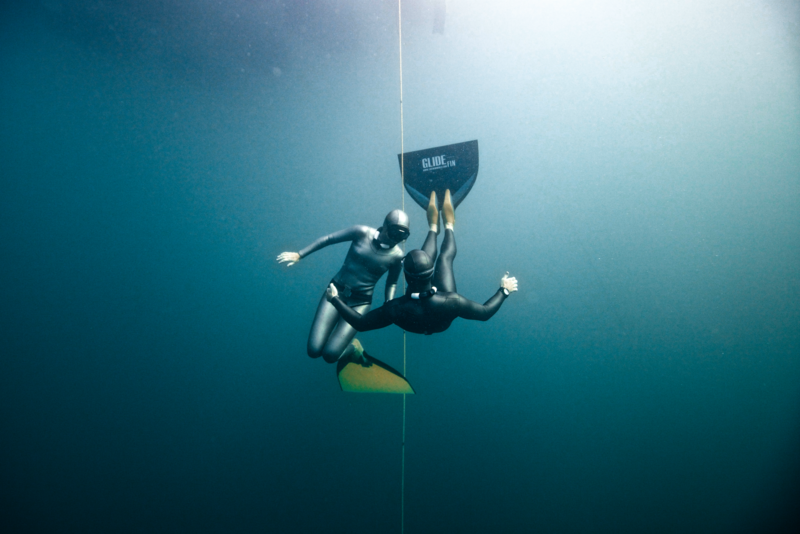 Tim and Liv are always approachable to the older and newer members of the clubs, offering training advice when asked and willingly sharing their valuable experiences as freedivers. Tim, a seasoned, strong athlete continues to push the boundaries of his abilities, gaining an easy personal best in the discipline of constant weight at the AIDA Freediving World Championships in Nice, having taken a short break from the sport which clearly did him no harm! Liv has a wealth of experience as a freediving competitor and performed at various competitions throughout 2012, including the Red Sea AIDA World Cup in Sharm El Sheikh in September. This is the sixth year in a row that Liv has won the UK National Freediving Championship (2007-2012)! Liv is keen to point out that UK based Georgina Miller and Egypt based Anna Parayair were strong contenders for the top spot this year. We are pleased to announce that Tim and Liv plan to compete again next year and have included the UK Pool Championships run by Steve Millard and also the Mediterranean World Cup in Greece run by Stavros Kastrinakis in their plans. We wish them huge success in 2013 and we will be sure to keep you posted on their progress. Next year, for the first time ever, athletes will be able to win the Championship with the scores accumulated from the best they have done in each of the six competitive disciplines (STA, DYN, DNF, CWT, CNF, FIM). This better reflects the changes in the sport of competitive freediving in the last few years, and for the first time acknowledges the no fins athletes’ performances. The scores are counted between the dates November 1st to October 31st and the awards are announced by the BFA at the annual AGM in November. Next PostNext First AIDA World Cup Series Winner, Liv Philip!